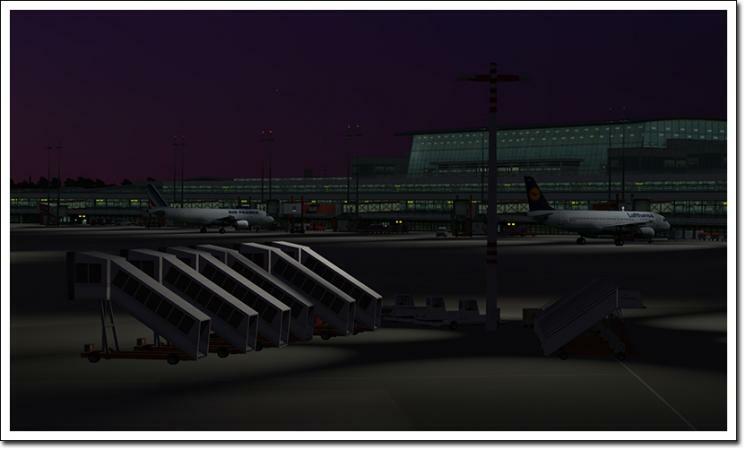 Now you can find the Airport Hamburg, formerly Hamburg Fuhlsbüttel (EDDH) in our shop. Hi Heinz, I purchased this today and have to say very disappointed. I use 12 Gigs of Ram and my Amsterdam scenery is perfect but this at the same settings has blurred textures. I played around with various settings to get sharp textures like EHAM and cant get them, it even crashed my machine at one point. If it cant be sorted how do I request a refund or credit? I ordered this a couple of hours ago and the order has since disappeared without offering me a download. No response from Aerosoft, probably not working Saturday. i don't think, that Hamburg has been pulled. 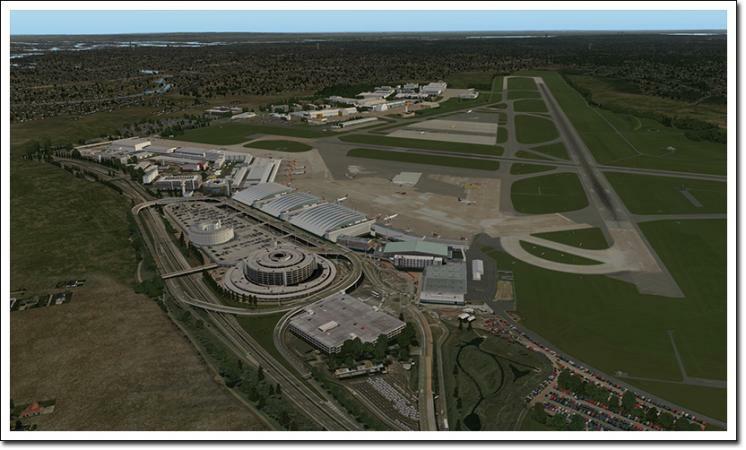 And if you changed the texture resolution, then you must restart X-Plane 10. Yes, I used Paypal. 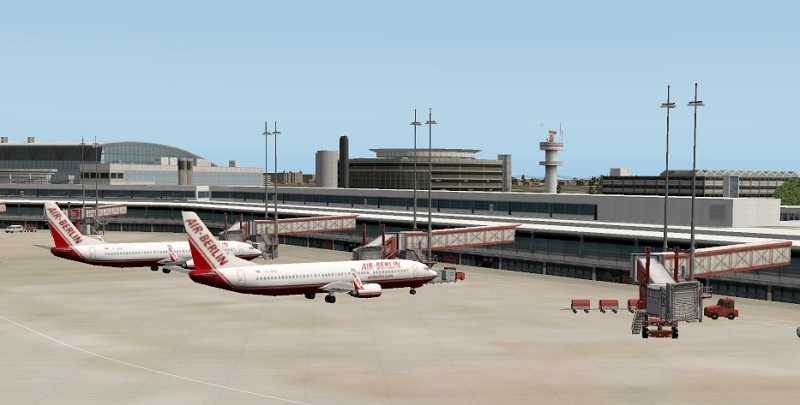 I have bought other airports this way, Keflavik, Amsterdam, Toulouse, Lugano. All had a download immediately. This one has died and no support around. I will not be able to reply again to this post today as I am on posting restriction as a new member. i can sort it out on monday, unfortunately... sorry. In Amsterdan, there is used a very high texture set, but in Hamburg we have lower the set, so that the framerate is better. But it shall look like my picture above. I have shot it with "very high". But my grafic is 4 GB (Nvidia GTX 670). X-Plane uses the RAM of the grafic-card in particular. You can see the texture load at the bottom of the rendering options menu. And to avoid an X-plane crash (memory failure) the value shall be lower than the RAM of the grafic-card. Ok, game doesnt crash now, but textures are still really terrible. Is there somewhere with the option to download the higher res textures like EHAM? Being unemployed spending €20 on an airport expecting the same quality as Amsterdam only to find it with terrible blurry textures is a huge disappointment. I would have thought it EHAM with 12 Gigs of RAM and 512MB Graphic's card runs fine, then the smaller EDDH would be the same. Ok, game doesnt crash now, but textures are still really terrible. After 4 days I am no nearer to obtaining the scenery for Hamburg. Support have suggested that I did not order correctly, a point I dispute and have told me to order again. It seems that the order was correct enough for them to get paid as the money has left my paypal account. Support is extremely slow in responding and there seems to be no procedure for alerting Aerosoft to problems with the shop. 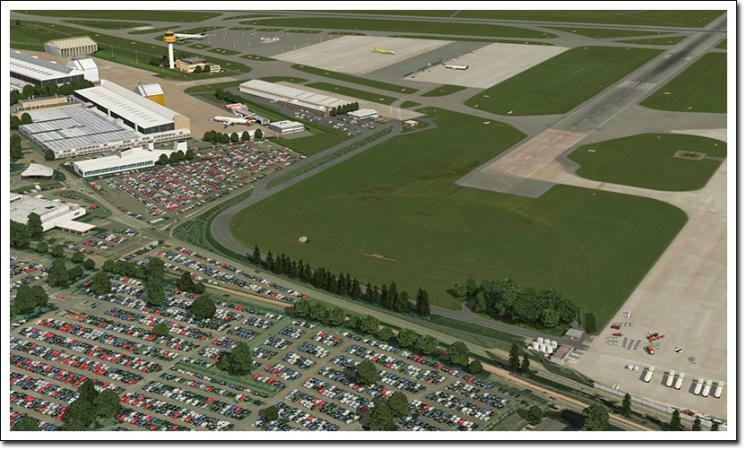 I have purchased all of the previous x-plane scenery enhancements from Aerosoft and I am very unhappy at being treated this way. Support have offered me no solution other than reordering. No offer of refund of the money I have paid has been made. EDIT: The ordering people have responded and said that a connection problem between the shop and Paypal was the cause of the error. They have now provided the download link. I think they need to add a button to the shop to indicate a failed download. Support have offered me no solution other than reordering. when support talked about the scenary reordering, there might exist a mix-up with XPlaneNut. you don't have a download link right now? can't you send a paypal account statement to help them finding the payment? you have contact (per Zendesk) to our support officer Shaun Fletcher. Please send him more information about the paypal payment. I believe the problem has now been resolved. I took down the screenshot as it was hosted on my professional photography site as I dont use Flickr or any of those file sharing sites. I just have to get used to the textures being blurry, however it might stop me from future purchases unless they are the same quality as Amsterdam.